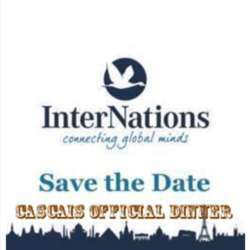 You must be a member of the Cascais DinnerNations Group to attend this activity. Would you like to join this group? Come along and sail with us on board of a new, exquisite culinary trip with a magnificent view of the “Tejo” river and the bridge “25 de Abril” aka "Ponte Sobre o Tejo". Let’s fill the room with love, joy and memorable moments! Looking forward to seeing you TOMORROW. All texts are copyrighted and belong to this Group.